Ive got two boys who's birthdays come just weeks after Christmas, but we don't let that stop us from celebrating the heck out of the day they were born. We keep the festive Christmas party spirit going all winter long. 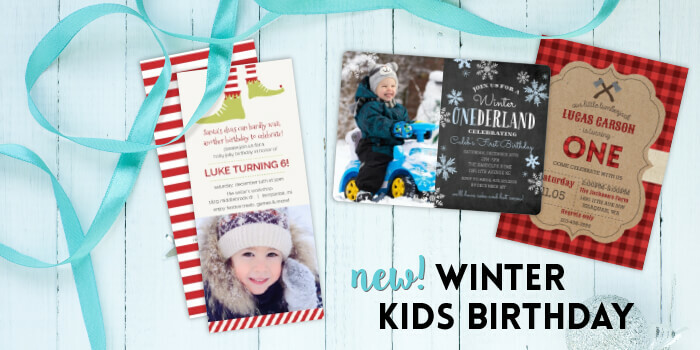 Winter birthdays can be so awesome with a little creativity and help from Purple Trail and their new line of winter birthday invitations for kids birthday parties. Winter Birthdays are a great time to get creative and have indoor birthday parties that rock! One year we put on an indoor camping themed birthday party for our 10 year old son. This party was amazing and simple with a tent in the living room, fireplace smores, and taking turns telling scary camp stories until the parents came to pick up their kids. Purple Trail makes a whole bunch of adorable lumberjack boy birthday invitations that would go great with a winter indoor camp themed birthday party for the explorer in your life. 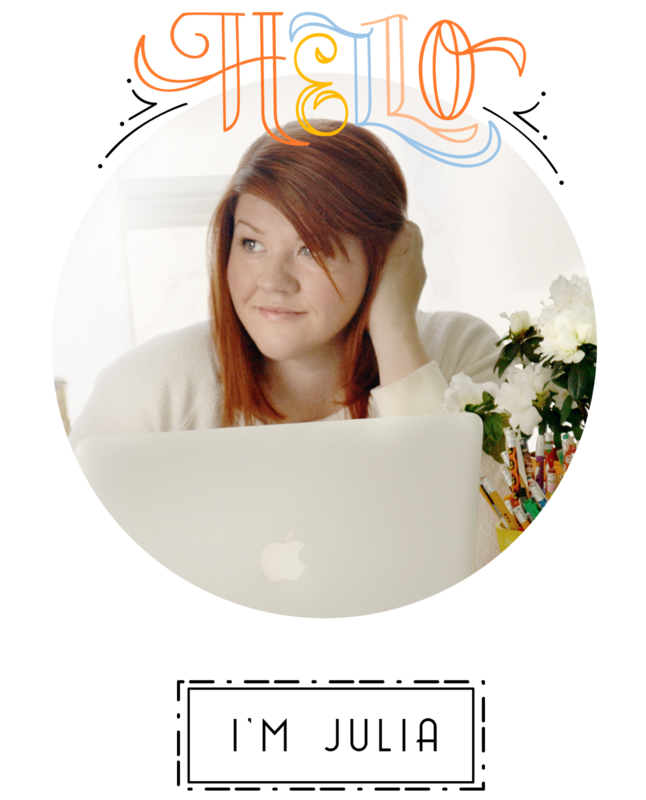 If creative indoor birthday parties is just not your thing, no worries. There are tons of indoor and outdoor winter activities to take advantage of and make your kids winter birthday party one to remember for years. Try hosting the birthday party at an ice skating rink, local park with a great sledding hill, indoor swimming pool, or your local gymnastics center. You won't have to worry about major preparations or a big clean up if you host the party at a venue or park instead of your home. One of the best things about having a winter birthday party is that all the others kids who are guests are so excited to just get a birthday invitation let alone get out of their house and hang out with their friends. Chances are you little guests have been cooped up just a little too long with all the frosty weather. Plus, summer birthday parties get a lot of competition because of the huge load of summer obligations, parties, camps, and vacations most families have on their calendar. So embrace your kids winter birthday because they can be just as amazing as any summer birthday party and you may even get a bigger turn out because its winter. 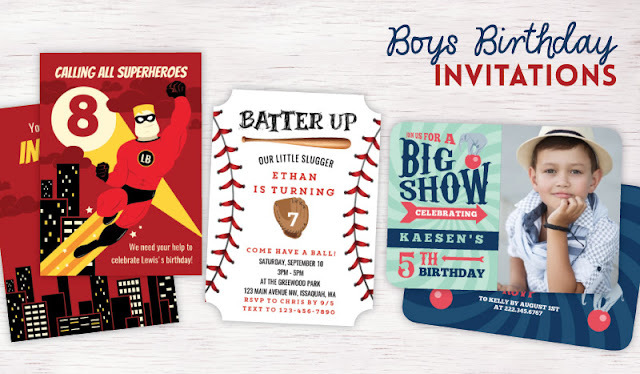 To help you make your winter birthday party planning easier purple trail has you covered where invitations are concerned. 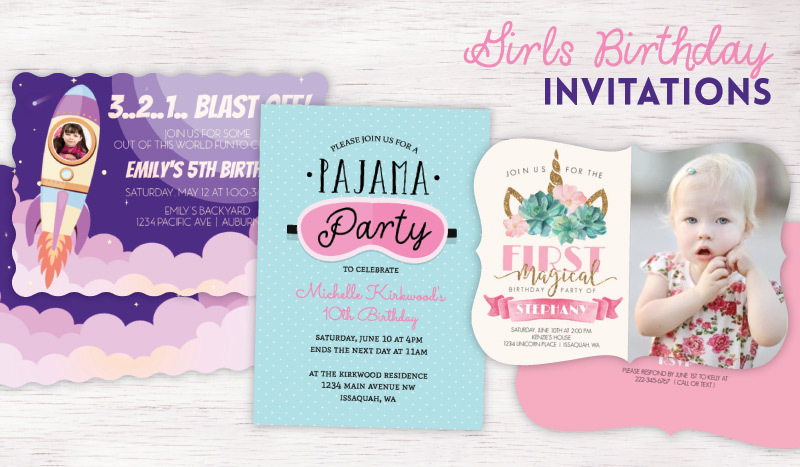 Purple Trail has come out with a winter collection of birthday invitations including some Christmas themed birthday invitations that are just magical. So even if your child's birthday is right next to Christmas you can still help them feel like their special day is actually still special. Every birthday is worth celebrating no matter what time of year it lands on.